Replacement knobs for the Allflex Repeater Syringe MR2 (25 ml. and 50 ml). Interchangeable colored knobs let you dedicate a particular syringe to a selected vaccine or therapeutic compound to ensure proper administration and avoid mistakes. 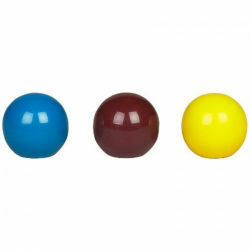 3-pack contains: 1 blue, 1 red and 1 yellow knob.